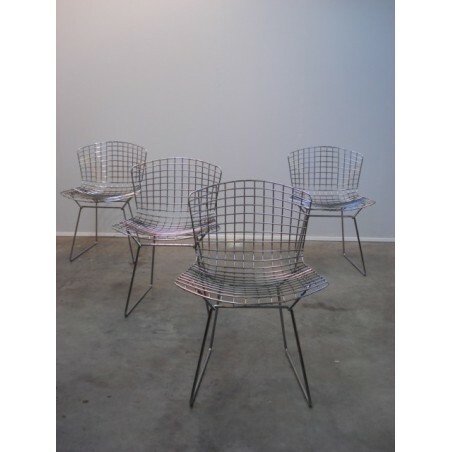 Set of 4 original side chairs, type 420c, from the Italian designer Harry Bertoia. The chairs are designed in 1950 and have a very nice spacial deisgn. 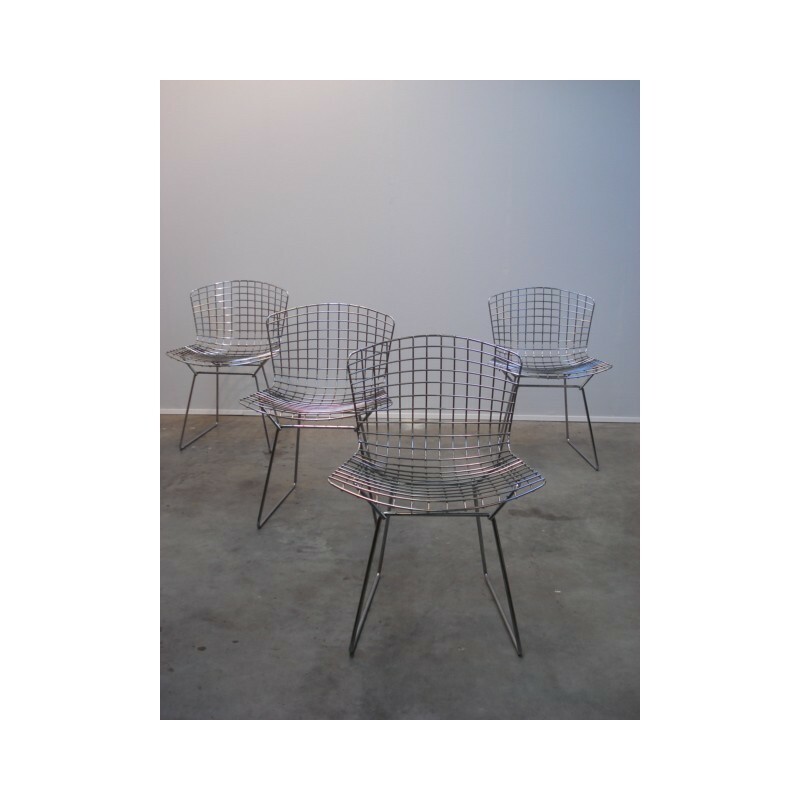 The chrome chairs are in a good condition. The didmension is 75 cm H and 53,5 cm W.